Sculpted curls without the crunch! 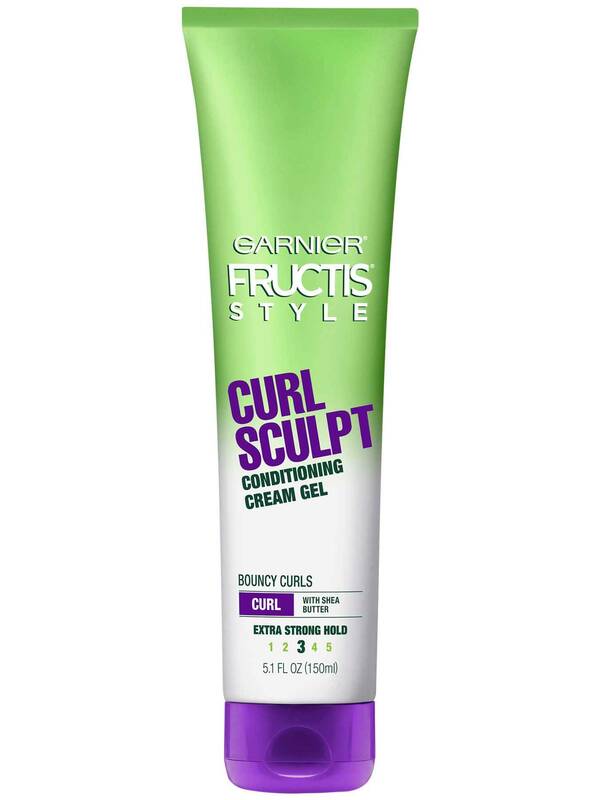 Give your curls everything they crave with Garnier Fructis Style Curl Sculpt Conditioning Cream Gel, uniquely formulated to give the controlled definition of a gel with the soft subtle conditioning of a cream. 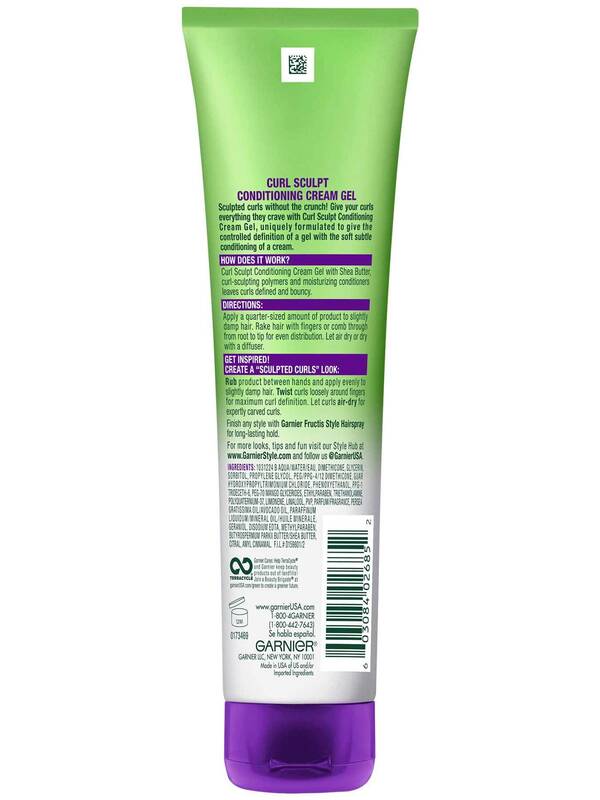 Curl Sculpt Conditioning Cream Gel with nourishing shea delivers curl-sculpting polymers and silicones + perfectly balanced moisturizing conditioners in a cream-gel formula that leaves curls defined and bouncy. Apply a quarter size amount of cream gel to slightly damp hair. Rake hair with fingers or comb through from root to tip for even distribution. Let air dry or dry with a diffuser. 1031224 B AQUA/WATER, PVP, PROPYLENE GLYCOL, PHENOXYETHANOL, PEG-40 HYDROGENATED CASTOR OIL, PEG-70 MANGO GLYCERIDES, TRIETHANOLAMINE, POLYACRYLATE-3, LIMONENE, LINALOOL, PARFUM/FRAGRANCE, METHYL-PARABEN, BUTYROSPERMUM PARKII BUTTER/SHEA BUTTER, HEDYL CINNAMAL, AMYL CINNAMAL. F.I.L.# D159615/2/. Long-lasting hold and shine, without stickiness or buildup. 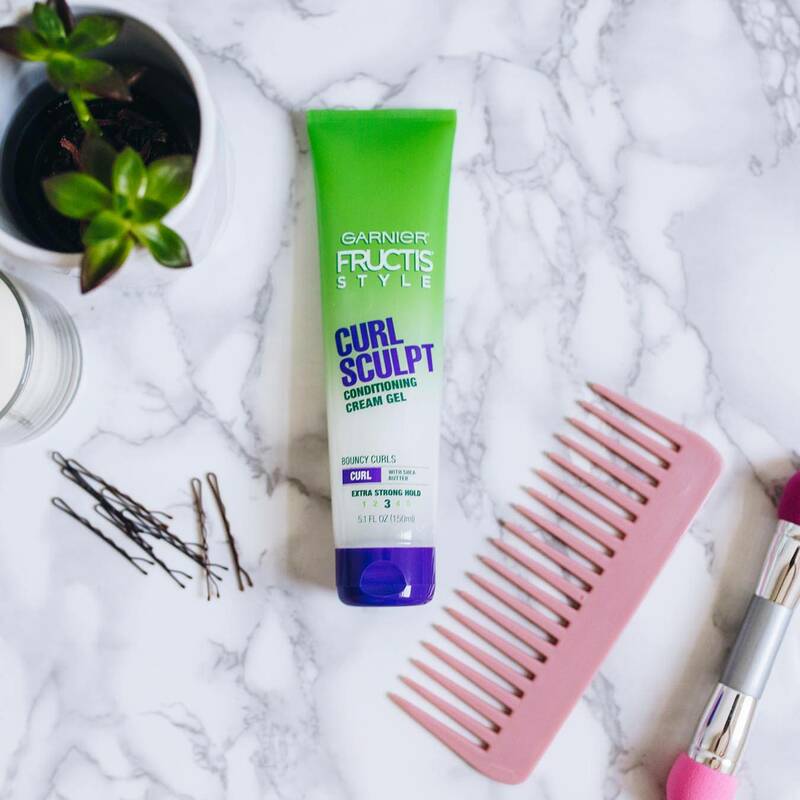 Nourish, stretch and elongate curls. Strong hold with frizz-free definition and shine. Rated 5 out of 5 by Mizkitty6 from Love this! I have been buying this for close to 15 years. Absolutely love it. I have 2c/3b curls, and this tames freeze, gives great hold, it is light enough that it doesn't weigh my very fine hair down. I love that I can wet it down on subsequent days without having to add more product for my hair to still hold. Rated 5 out of 5 by KDHT from Best Curl Product! This is my go to curly hair product. I have used everything from expensive salon products to less expensive products. My hair is very curly and sometimes can be hard to manage. This hands down is the best for well defined soft curls. Instead of out of control frizzy curls, it produces controlled, no frizz, soft curls. In saying that, even if you have finer or softer curls this product is light enough for your hair as well. Please don't ever discontinue this product! Rated 5 out of 5 by angelah7318 from I have curly/wavy combination hair and this did wonders for the definition in my curls! They clumped nicely and looked amazing! Rated 4 out of 5 by samanthaab986 from I have wavy hair when long and curly hair when short, and this product works for both times. It makes my curls more defined and less frizzy and makes my waves more full. The beautiful scent is just a nice bonus! Rated 5 out of 5 by angelac9b1d from This leaves my hair ever so soft while keeping my curles in place and well formed! A must have for curly dry hair! Rated 4 out of 5 by edissinger from I love this product for when I either want to skip the blow dry/straighten routine or when I just don’t have time to do it. It helps my curls look great. However if not careful and can make hair look “crunchy”.